All DKs have access to the same talents, they do not vary with your spec. 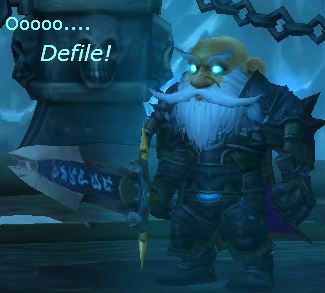 Also see our post on the other Death Knight Changes for Warlords of Draenor. Level 15: Roiling blood (and Blood Boil) has been removed and is replaced with Plaguebearer. Your Death Coil and Frost Strike abilities will both infect the target with Frost Fever and Blood Plague. Level 60 and 75 tiers have been swapped, to allow leveling DKs earlier access to rune regen abilities. Each spec of Death Knight has access to the same talents. Necrotic Plague replaces Blood Plague and Frost Fever and infects the target with a disease that does damage over the next 30 seconds and every time it ticks it tries to infect another nearby target. (Q: Can it re-infect a target?) It is applied by anything that applies the regular diseases. You also gain Runic Power when attacked by N. Plague infected opponents. Each of these talents has varying effects depending on your spec. Also see our post on all of the WoD Druid Changes. Balance – “Euphoria: “You feel a deeper connection to the stars, reducing your Balance Energy cycle time. Additionally, your Lunar and Solar Empowerments also reduce the cast time of the affected spells by 20%. Feral – “Lunar Inspiration: ”Moonfire is now usable while in Cat form, adds 1 combo point and costs 30 energy. Guardian – “Guardian of Elune: ”Your Savage Defense now lasts 4 seconds and increases your chance to dodge by 100%. Restoration – “Moment of Clarity: ”Omen of Clarity now lasts 5 seconds, instead of one cast. Sounds pretty nice. Balance – “Stellar Flare:” A powerful spell which benefits from both Lunar and Solar Eclipses, dealing the most damage when they are balanced. Burns the target for Spellstorm damage, and then additional damage spread over 20 sec. Guardian – “Pulverize:” Smash the target using three stacks of Lacerate to deal extra damage and reduce incoming damage by 15% for 12 seconds. Restoration – “Germination:” You can apply two rejuvenations to the same target and the duration is increased by 3 seconds. Tanks and PvP allies, and anyone else you’re healing, will love you. Balance – “Balance of Power:” You align to the power of the Moon and Stars so your direct damage spells reenergize your damage over time effects. Your Starfires extend the duration of Moonfire by 6 sec and your Wraths extend the duration of Sunfire by 4 sec. In addition it also increases the damage over time of your Moonfire and Sunfire by 10%. Feral – Claws of Shirvallah: shapeshift into a creature half man and half cat. This alternate Cat Form allows the use of all non-damaging Druid spells while shapeshifted, and increases Versatility by 5%. Guardian – “Bristling Fur:” this 3 seconds effect, 1 min cooldown, reduces all damage by 40%. Restoration – “Rampant Growth:” Your Swiftmend now consumes your own Rejuvenation or Regrowth, but has no cooldown. Get your Druid leveled from 90 to 100 (or from 1 to 100) fast. Click here. Also see our Hunter Changes in Warlords of Draenor post. Aspect of the Iron Hawk has been renamed to Iron Hawk, and now passively provides 10% damage reduction and no longer boosts Attack Power. Lynx Rush is now dead. The column 1 talent is: Exotic Munitions. This is for all Hunter spec. You can change ammo types, each change lasts an hour. Column 2: Focusing Shot – allows you to carefully line up your perfect shot for 100% wpn damage and generates 50 focus. It also replaces Steady Shot and Cobra Shot. Despite what the tooltip (hover over the link) says this talent is for all Hunter specs. Beast Mastery gets Adaptation: Your pet gets increased damage and also gets several abilities, regardless of its active spec: Spiked Collar, Roar of Sacrifice, Cornered, Last Stand, Blood of the Rhino, Great Stamina, Boar’s Speed. Marksmanship and Survival get “Lone Wolf”: All of your damage is increased by 30% when you don’t have a pet active and you can provide one of several benefits to your party or raid. This might be fun to play with. You’ll become more of a Ranger than a Hunter and no longer have to concern yourself with pet issues. That might be very handy in certain PvP games, where the pet is often CCed or otherwise unavailable. Only the talents that are new or have been replaced are shown here. See our Mage Changes in WoD post for all of the coming changes to talents and abilities. Presence of mind is replaced by Evanesce and POM becomes a level 22 Arcane only ability. Evanesce lets you “fade into the nether” for three seconds, avoiding all attacks. It replaces Ice Block and can be cast while casting a “cast time” spell. 45 sec cooldown. Alter Time is now a level-30 Talent, replacing Temporal Shield. Alter Time now lasts for 15 seconds (up from 6 seconds), has a 90-second cooldown (down from 3 minutes), and no longer affects the Mage’s mana, buffs, or debuffs. Arcane – Nether Tempest can now only be on 1 target at a time (down from unlimited), but its secondary damage now hits all targets in range (up from only 1), deals 100% of the primary damage (up from 50%), and its damage can now be increased by Arcane Charges. Fire – Living Bomb: Basically the same as it is in Mists. The target burns and then explodes when the timer runs out. Still spread by Inferno Blast. More of the damage has been moved to the explosion. Frost – Frost Bomb: Your Ice Lances that hit the target while frozen cause the bomb to damage the target and damage all enemies within 10 yards. It now lasts 12 seconds and has no cooldown. Damage has been reduced to compensate for the larger number of possible explosions. Level 75, 2nd talent, Unstable Magic is a new Talent availalbe to all specs. Your Arcane Blast, Firebolt, and Frostbolt all have a chance to explode on impact, doing more damage to the target and also damaging nearby targets. Supernova (Arcane:) Cause a pulse of Arcane energy around the target enemy or ally, dealing Arcane damage to all enemies within 8 yards, and knocking them into the air. If the primary target is an enemy, they take 100% increased damage. Blast Wave (Fire): Cause an explosion of fiery force around the target enemy or ally, dealing Fire damage to all enemies within 8 yards, and dazing them, reducing their movement speed by 70% for 4 seconds. If the primary target is an enemy, they take 100% increased damage. Ice Nova (Frost:)) Cause a whirl of icy wind around the target enemy or ally, dealing Frost damage to all enemies within 8 yards, and freezing them for 4 seconds. If the primary target is an enemy, they take 100% increased damage. Mirror Image. Yes, that Mirror Image. It’s now a lev 90 talent. Incanter’s Flow: This looks interesting (and it replaces Incanter’s Ward.) You now have a ten second cycle. In 5 seconds you will have 25% more power (5% per second) and then it drops back at the same rate, so in ten seconds you’re back to “normal.” Then it repeats. At 5, 15, 25, etc. seconds you will be at max power. 10, 20, 30, etc. you will be back to normal. As soon as this looks even close to final I expect an addon to be tracking this. The first talent extends certain spells. Arcane – “Overpowered:” Casting your Arcane Missiles extends your Arcane Power by 2 seconds. Fire – “Kindling:” Crits from Fireball, Pyroblast, and Inferno Blast reduce your remaining Combustion cooldown by 1 second. Frost – “Thermal Void:” Casting Ice Lance extends your Icy Veins by 2 seconds. Prismatic Crystal: All specs. Puts a crystal at the targeted location. Only you can attack it and it takes +30% damage from your attacks. Any time it takes damage it instantly releases that damage, splitting it evenly among all enemies within 8 yards. The third talent looks interesting, dealing area damage. Fire and Frost can both get an Orbital Bombardment talent, which is just too cool. Frost gets Comet Storm: Comets! 7 icy comets bombard the target area. As with the Druid, all of these do different things, depending on your spec. No changes to talent names for the first 6 tiers, so far. Also see the Monk Changes in Warlords. Windwalkers get Hurricane Strike: You unleash a rapid series of kicks to some enemies in the area and become immune to movement impairing and “loss of control” effects for 3 seconds. This sounds like it’s something like the Rogue’s Killing Spree and could be a pretty awesome talent. There a plenty of changes coming for Paladins in Warlords of Draenor. Talent #1: This looks like a pretty interesting talent. Protection and Retribution get Empowered Seals: Your Seals also cause your Judgment to provide additional effects. This restores some effects that were removed from Judgment awhile back. Each effect lasts 20 seconds. Ret & Prot both get Seraphim: Your Haste, Crit, Mastery, MultiStrike, and bonus armor (from gear) all all increased by 30% for 10 seconds, with a 30 second cooldown. Talent #3: I rather like this one. Holy gets Saved by the Light: When your Beacon of Light target drops below 30% you instantly grant them a shield equal to 30% of their health for 10 seconds. You cannot shield the same target twice within one minute. Protection can pick Holy Shield: Increases your Block chance by 10% and each block damages the attacker. Retribution can takeFinal Verdict: A mighty strike, doing the damage as Holy. Replaces Templar’s Verdict. There are a bunch of talent changes for Priests. Only the talents that are new or have been replaced are shown here. 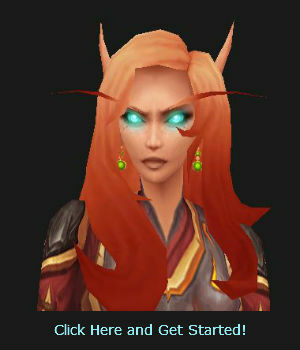 For all the other changes see our Priests in Warlords post. The level 15 and 60 talent rows have been swapped. Void Tendrils is now a level 60 Talent and is replaced with Desperate Prayer, which will heal you for 22% of your health. Psyfiend is dead and has been replaced with Spectral Guise, which lets you becomes a stealthy shadow for 6 seconds while your true form remains behind. Angelic Bulwark replaces Dominate Mind, which is now a level 60 talent. Attacks that bring you below 30% trigger a personal absorption field. Discipline and Holy get Surge of Light: Your healing spells, and Smite, have a chance to make your next Flash Heal free. Can accumulate 2 charges. Shadow gets Surge of Darkness: Damage done by both your Vampiric Touch and Devouring Plague has a 10% chance to cause your next Mind Spike not to consume your damage over time effects, be instant, and deal 50% additional damage. Can accumulate up to 3 charges. Talent #2: All specs get Mindbender, as before. Talent #3: This is basically the same talent as before, but with a new name. Void Tendrils replaces Desperate Prayer. Psychic Scream replaces Spectral Guise. Dominate Mind replaces Angelic Bulwark. Talent 3, Holy keeps Divine Insight, but Shadow and Disc get new talents. Shadow gets Shadowy Insight: Your Shadow Word: Pain and Mind Spike damage has a 5% chance to reset the cooldown on Mind Blast and make your next Mind Blast instant. Discipline gets Spirit Shell: For the next 10 sec, your Heal, Flash Heal, and Prayer of Healing no longer heal but instead create absorption shields that last 15 sec. 60 sec. cooldown. All Rogue specs have access to the same talents. Also check out the other Warlords of Draenor Rogue Changes. As with some of the above, different effects depending on your spec. All of the 15-90 talents are pretty much the same. There are a bunch of other changes coming, so check out our Shaman Changes post. Elemental and Enhancement: Elemental Fusion: Your own Lava Burst and Lava Lash abilities increase the damage of your next Shock effect by 75%, stacking twice. Restoration: Cloudburst Totem: Summon a Water Totem that will collects and stores power from all healing spells and Multistrikes over 15 seconds. When the totem is done the stored power is released, healing all injured allies within a 40 yard radius for a total of 20% of the amount stored, split evenly among them. 2nd Talent: Storm Elemental Totem, All specs. All: Summons an Air Totem (with over 23k health) that calls forth a Storm Elemental which hurls gusts of wind at your enemies for damage. The damage done is returned to all allies within 15 yds, as healing, split evenly among them. Lasts one minute, 5 min. cooldown. Elemental and Enhancement: Liquid Magma: Your Fire Totem now spits globs of lava at random targets within 40 yds. every 1 second for 10 seconds. Each glob deals damage to the target and all enemies within 4 yds of the target. Restoration: “High Tide.” Chain Heal now bounces to all targets affected by your Riptide and no longer diminishes with each bounce. Have some well named talents here. They just sound right for Warriors. Things look pretty good for Prot., too. Talent 1: Staggering Shout is dead. Arms gets Taste for Blood. Get Rage whenever Rend does damage. Fury gets Furious Strikes. Wild Strike costs less Rage. Protection gets Heavy Repercussions. Shield Slam does more damage while Shield Block is active. Sudden Death, which causes auto-attack hits to have a 10% chance to make the next Execute free and useable on any target, regardless of health level. These Executes do not consume additional Rage to deal additional damage. Arms: Slam: Slam an opponent, causing 100% weapon damage. Each consecutive use of Slam increases the damage dealt by 50% and Rage cost by 100%, stacking twice. Requires Battle Stance. The level 60 talent Bladestorm is now a level 90 talent and replaces Shockwave. See WoWhead’s talent calculator here, it was the source for all of the above. Click here and Level Fast! does no-one see how overpowered the rogue copy talent will be – if it synergizes with blades than that can be 90% of someone’s hp down with the first burst; followed up by that will be an easy kill. Having two level 90 Rogues I don’t see the problem here. 😉 Seriously though, I don’t think the talent will survive in this form. If nothing else it will certainly get some well defined restrictions. Also, keep in mind that your opponent usually won’t be sitting there for the next 16 seconds while you replay everything on him. He’ll be leaping, bubbling, or whatever to escape and you’ll have to stick to him and not get stunned yourself. I expect that a Rogue’s over all “kill power” will be pretty similar to what it is now. Should be a pretty nice talent for PvE though. Yeah, you may be right. But I think that it, and most of the others, will undergo some major changes between now and release.